To discipline means to train, teach and educate. However, it’s a broad term, since we do not discipline a baby, a toddler, a preschooler, a preteen or a teenager the same way. Each of the child’s phases is obviously very different but equally important. In this article, we are going to define the word discipline, and we are going to discuss what type of discipline toddlers and preschoolers require to be able to grow up in the best conditions possible. What Does It Mean To Discipline? Unfortunately, the term discipline has a negative connotation, because it’s linked to tough education type and corporal punishment. Until a rather recent past, the way parents and even teachers used to discipline children had more to do with that tough type of treatment than it had anything to do with psychologically positive discipline that would be up-building rather than damaging to the child. If discipline is not meant to help the child, it’s not discipline, it’s borderline abuse. As time went on, experts in child rearing started to understand more and more that not only was corporal punishment not the best way to discipline a child, but could actually provoke some undesirable side effects later on in life. Many adults today are living proof of that. Thus, never before in the history of mankind have we come to the realization that hitting a child should be a discipline method of the past and that we should replace it with the type of discipline that your child will thank you for when he’s reached adulthood, rather than resent you for it. Knowing how to discipline your child will benefit him all throughout his life from babyhood into adulthood. Knowing how to discipline your child will help you find the right balance between being too permissive and authoritarian. None of these two extremes will turn out to be a success, but if you can find the perfect middle, you’ll be glad you did years from now. The perfect middle between permissive and authoritarian parenting is called supportive parenting. This is the kind of parenting where you’ll be able to teach rules and limits to your child, in a calm and consistent manner, while not threatening him with corporal punishment or even yelling. A 3-year study conducted in Germany from 1999 to 2002 by The Association of Professionals in Services for Adolescents showed that teenagers who received supportive parenting had a lower level of depression and delinquency, a higher level of self-efficacy and did better in school. Supportive parenting as discipline for children has only advantages. Before we answer this question, let’s first define what supportive parenting is not. Hitting and yelling at your child is not supportive parenting. 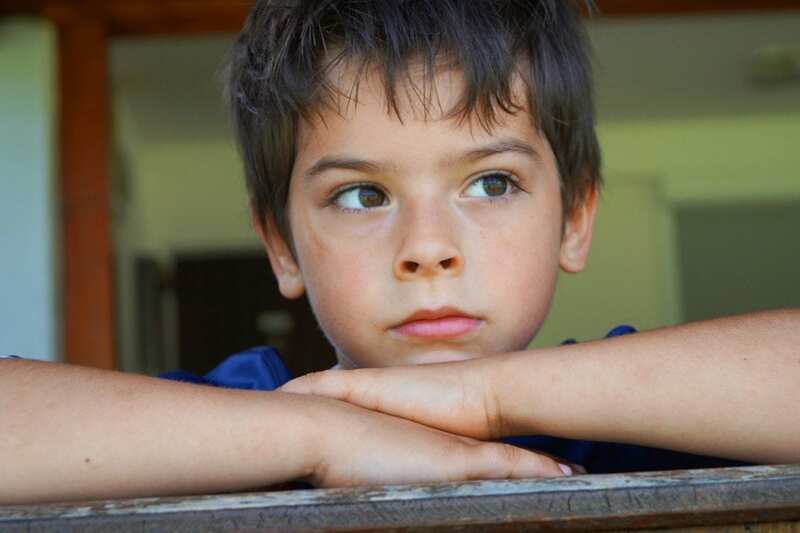 Answering “because I said so” when your child is asking you ‘why’ is not supportive parenting. Threatening your child of an imminent punishing is not supportive parenting. Humiliating your child in public is not supportive parenting. Now that we know what supportive parenting is not, let’s see how you can be a supportive parent in the disciplining of your child, so you can reap the beautiful fruits of such parenting that will help your child thrive all throughout his life. The first question you need to ask yourself if you feel that you have a disobedient child is, what kind of role model am I? 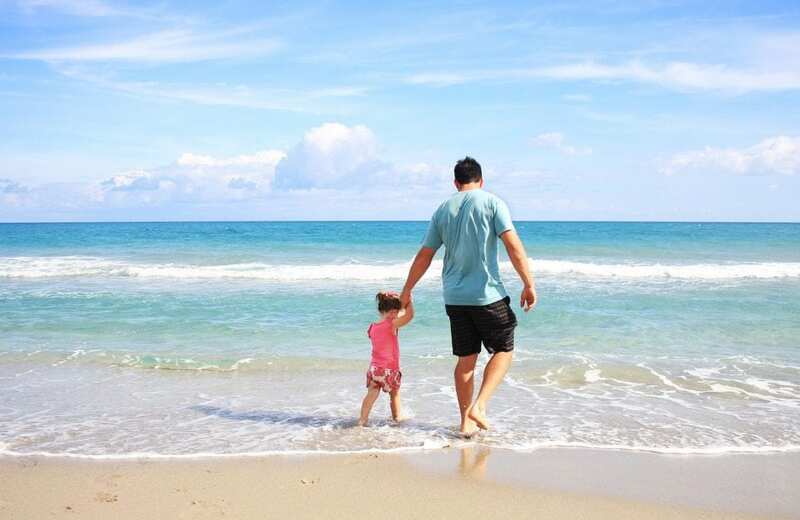 As we mentioned in a previous article, children learn mostly from the example parents are giving them from their own actions, rather then what comes out of their mouth. So, before you question your child’s behavior, the wise thing to do is to question your own. Are you all over the place? Are you showing a weak personality? Issues like these could make it very difficult for you to discipline your child into someone you want him to be, but that maybe you’re not. Children are not stupid, they see, hear and feel everything, and they are watching you. They’ll obey and respect you based on what they see and know about you, more than what you’re telling them. Thus the need to examine yourself first. Let’s call it the foundation of your child rearing. Just like a house wouldn’t stand its ground without solid foundations, your parenting journey starts with the foundations that you create. The foundation is you, the parent. If you are going to create a set of rules, stick to it and be consistent with it. Nothing will be more disconcerting for a child than rules that change every so often, or if your demeanor changes according to your mood. We’re all humans and we are not always in a good mood, but as a parent, you need to control yourself as much as possible in the presence of your child and try to stay calm no matter how challenging it is at times. If you can’t manage to control your own temper how do you expect your child to be able to control theirs? Being consistent with your rules and keeping a uniform mood when it comes to educating your child is vital, and one of the most important facets of supportive parenting. When correcting your child, do it in a calm manner and be brief about it. If they want to get that toy or candy they’re not going to get, tell them calmly why they can’t have this now in a non-threatening manner, and leave it at that. While this might sound difficult to achieve for many parents, it is less so for parents who have disciplined their children that way from day one, because the child will have already learned that this is how it is, and won’t try to fight. Non-threatening, but firm and to the point. And always remember that if you speak in a soft, yet firm voice, your child is more likely to listen to you. If you’ve got to correct your child, do it quickly when it needs to be done. Do not wait until you get home, for example, because often a small child won’t even remember what you’re disciplining him for by then. Since there’s no hitting or yelling involved, you can correct your child immediately anywhere. If for any reason you can’t correct the problem right then and there, don’t do it later. Children are children and they will act accordingly. When it comes to correct toddlers or preschooler, mind their youth and don’t expect them to be quiet and sitting still for a long period of time. If you plan on attending an adult type reunion where you are going to be sitting somewhere for an hour and above, you need to plan on stepping out with your child, and even congratulate him for his good behavior. This will actually increase his good behavior. Remember that when you discipline/correct your child for bad behavior, it’s the behavior that’s bad, not the child. So, banish statements like you’re a bad boy or you’re a bad girl which is very unhealthy psychologically. Instead, remind your child that you love him often, so he will never think that rules are meant to hurt him, but rather to protect and prepare him for life as a grown up. If you practice supportive parenting type discipline your child will thank you for it now, and for years to come. 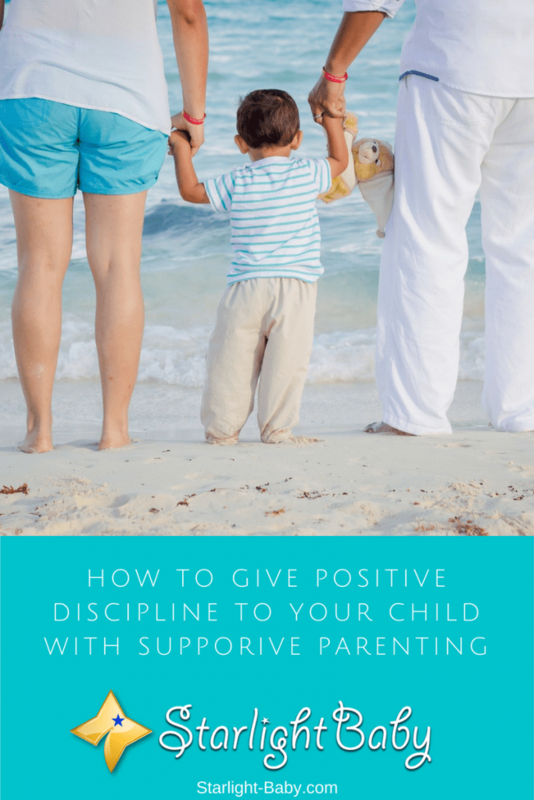 The positive discipline approach can work wonders for parents and children alike, so long as you are commited to sticking with it even when it’s tough! It is true that discipline has been misconstrued by many parents to mean going tough on their kids to make them see reasons with what they are trying to teach them and I think that it is a wrong approach. The term supportive parenting you used on the article fits it for at that tender age of many kids, they are torn between foloowing their little crazy lifestyles and doing what you want them, as a parent, to do. So, if a parent can discipline their kids with love, explaining in details why the kids should follow these sets of rules and not the others. Then, I do not see issues arising at such homes in the future. Discipline is the way how kids reflects from their parents teaching or how they are brought up by their parents. All parents are very conscious about it so parents are tend to be more aware how their kids behaviour is specially in socializing with others. Parents should explain to heir kids why is discipline so important, yelling, shouting and sometimes hurting kids are traumatic yet not effective way. My parents always remind me that kids will listen if you will talk to them in nicer way accompanied by motherly hugs and relling them how much you love them. The more that they will remember as my mom advises me. I find that way effective and makes the communication as mother daughter relationship. Kids will always remember the magic words to enlighten their mind until they will realize their mistakes. Kids find it very easy to absorb anything taught to them when they are little, and which is why it’s paramount to train them in such a way they the core values of life won’t easily leave them as they are growing up. It’s 90% parents responsibility to train up their children before they get into the extension of the society where other variables can influence their learning standards. The tips listed here are good to aid in raising up a child in the right manner so they could be of good use to both the family and the society as well. If a child isn’t raised well, he will practically be a thorn in the flesh of the family and the environment.